This was John Carroll's first trip to Salmon Lodge, Not the best water conditions this year John, next year will be better. Congratulations on your first salmon from Canadian waters. 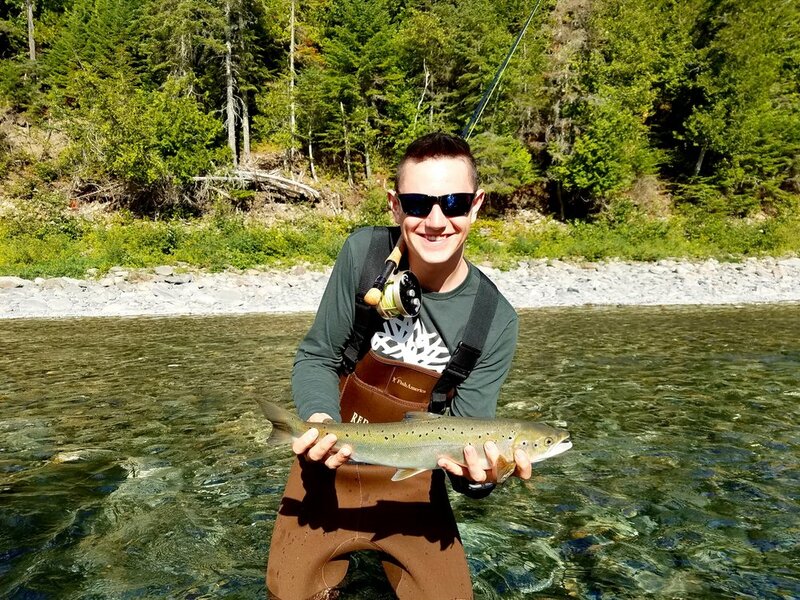 Congratulations to Willburt Packard on his first Atlantic salmon ever, and on a dry fly. Nice Job Will and with your grandfathers Bogdan reel. Harvey Wheeler with his first Cascapedia salmon, nice one Harvey! David Richens (right) with a nice Grand Cascpedia grilse. The water was low but David certainly did a fine job.